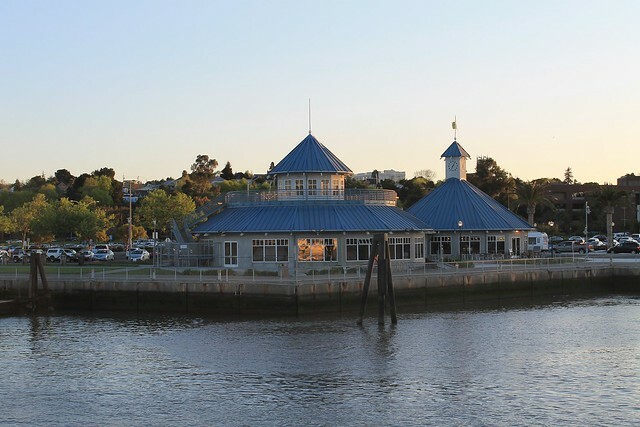 Vallejo is a waterfront city some 30 miles north of San Francisco. Because of its location, the city has become a popular choice for those looking to relocate to Northern California. If you are one of the people who want to make Vallejo your new home, you should know that moving here is something that can be done quickly and easily. With the help of our Vallejo movers, of course. You can stop your search for the best movers in Vallejo, CA because you’ve already found them. We may sound overconfident, but the fact is that we have hundreds of satisfied customers to back our story. The reason why everyone is satisfied with our work is that we get the things done on time, no matter how difficult the job might be. Apart from punctuality, our clients love doing business with us for another reason – we do not overcharge them. We like doing business fair and square, which is why we have an affordable pricing policy, with absolutely no unexpected expenses. And this goes for all of our moving services. Local relocation. If you need to move your stuff from one place to another within the limits of Vallejo, we’re the ones to call. Because we’re local, we can come to your place in a matter of minutes. Long-distance relocation. If you’re moving from some other city in California, you surely don’t want to spend all your savings on relocation. That’s why you ought to call us; we offer our long-distance services at the best possible rates. Commercial relocation. If you’re moving to Vallejo, CA to start a business, you need someone to help you get your equipment to the new office. Give us a call and we’ll take care of it, ensuring that all your stuff gets there in one piece. Storage. If your new place in Vallejo is not yet ready, you can keep your stuff in our facilities. Our warehouses are climate-controlled, safe, and secure, which means that your valuables are in the right hands. On top of everything, our company is insured, meaning that if something unexpected happens, you will be taken care of. Specialty moving services. If you need to move some items that are either too large or too heavy for regular vehicles, you need to give us a call. We have the tools, as well as the experience to handle any kind of move. Free quote. Even if you are not sure whether you’re gonna use our services or not, you can still get a quote, completely free of charge and without any obligations. Vallejo is only 30 miles away from San Francisco. The distance between the capital of California and Vallejo is about 65 miles. Summers in Vallejo are hot and dry, while winters are mild. In the recent few years, Vallejo has become a favorite place for artists. Property prices are much lower in Vallejo than in some other parts of Northern California. Renting an apartment in the center of Vallejo costs about $1,000 a month. Average monthly salary in Vallejo is a bit over $3,000. Six Flags Discovery Kingdom is the second-top employer in the city, after Kaiser Permanente Medical Center. There are several large public golf courses within the city boundaries, including Blue Rock Springs East and West Golf Course. Vallejo is famous for its festivals and other cultural events, like Farmers' Market and Northern California Pirate Festival, for example. There are more than a dozen airports within a hundred-mile radius from Vallejo. Joey booked moving from 26 laurel st vallejo to 265 mini dr vallejo. Our manger William helped to organize local moving. Our professional mover Steven packed and loaded all the properties to 26ft track. Everything was delivered on time and in safety.